A brand new month and a whole lotta deals from AppSumo. The AppSumo team is back with fresh deals for entrepreneurs and bloggers this month. So without further ado, here are some of the top deals AppSumo you should grab in September. Learn more about Depositphotos here! 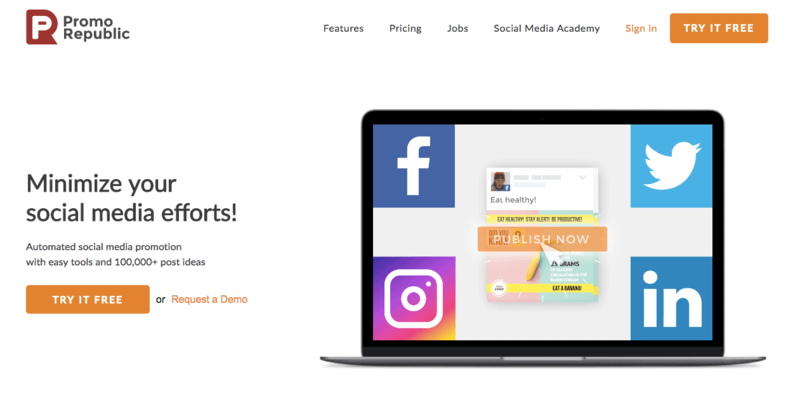 PromoRepublic is a tool small businesses and marketers use to create awesome posts with handcrafted templates and images. PromoRepublic offers over 6,000 templates that are made by agency-level professionals. And whether you’re editing an existing template or starting from scratch, PromoRepublic’s easy-to-use drag-and-drop graphic editor makes customizing posts quick and painless. Normally, PromoRepublic’s Pro plan would cost you around $276 per year. But, with AppSumo, you can grab lifetime access to their Pro Plan for only $49! Click here for lifetime access to PromoRepublic’s Pro Plan for $49! Managing your social media accounts is a pain. You want your content out on LinkedIn, Instagram, Facebook, and Twitter. That’s four different accounts to manage in four different places. With PromoRepublic, you can consolidate management all of your accounts into one platform that lets you schedule posts and create original content with a graphic design editor, access to 100,000+ stock images, and thousands of templates. Learn more about PromoRepublic here! pCloud is a comprehensive, easy-to-use cloud storage solution that lets you upload and easily access all of your videos, documents, and photos. pCloud keeps all your files in one place, allowing you to access them from any device. Access to pCloud Premium costs around $125, but with AppSumo, you can get lifetime access to to pCloud Premium for just $49. Get lifetime access to pCloud for $49! pCloud makes your life easier by keeping all your files in one place and allowing you to access them from any device. Computer, phone, or tablet, it don’t matter. All of your content is at your fingertips, but doesn’t take up any space on your hard drive. Learn more about pCloud here! Slideshop offers a library of 15,000+ stunning PowerPoint templates to help you get your message across with clarity, personality, and precision. Slideshop has presentation templates for PowerPoint, Keynote and Google Slides in categories such as business, planning, illustrations, taco charts, etc. Typically, if you wanted to download 20 Slideshop templates per month, you would have to pay $99/month. But with AppSumo, you can get access to 20 Slideshop templates every month, for life. For only $39. Click here for lifetime access to Slideshop for $39! Making a good presentation costs no less than a whole day and your sanity. Much of this time is spent on starting from scratch and overthinking every little detail. Slideshop changes this by providing almost 16,000 beautiful templates for PowerPoint, KeyNote, and Google Slides. Slideshop slides are eye-catching, can be edited with ease, and lets you focus on the actual content! Learn more about Slideshop here! PingGo is the do-it-yourself PR tool to help you build your brand and get noticed. Write, pitch, plan, and send press releases like a pro. With PingGo, you won’t need a PR agency. Ordinarily, access to PingGo’s High Growth Plan (the plan being offered here) will cost you around $600 a year. But with AppSumo, you can grab lifetime access to this High Growth Plan today for only $39. Get lifetime access to PingGo for only $39! Writing press releases that journalists are actually going to read is hard. It involves planning, writing, and distributing through multiple channels. PingGo helps you do this by making the first draft for you. After you’ve polished that up, you can upload your contacts and distribute the release all from the same platform. Learn more about PingGo here! Dryrun is a software used to forecast budget and cash flow along with projecting sales. Typically, you’d have to pay $588 a year for the plan being offered here. With AppSumo, you can get lifetime access to Dryrun for just $39. Learn more about Dryrun here! Financial modeling is typically done through excel spreadsheets or a weekly, bi-weekly, monthly update from your accountant. What that doesn’t do is allow for creating and comparing multiple what-if scenarios on the fly, and forecasting revenue, sales, project costs, etc. with clear visualization features. With Dryrun, you can do all of this. Get lifetime access to Dryrun for $39! 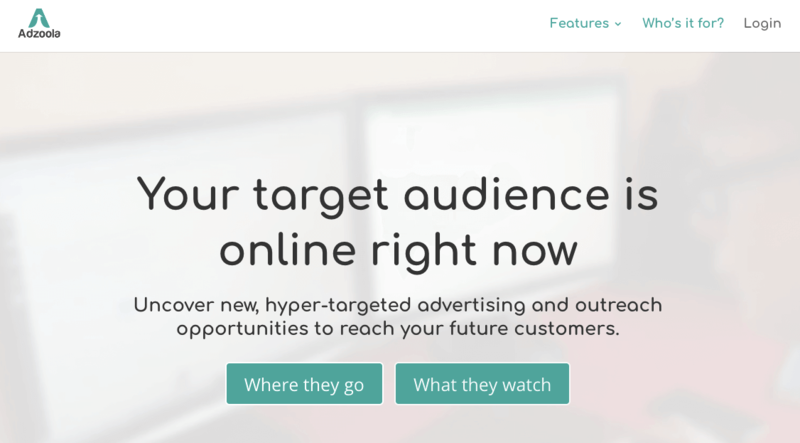 Adzoola lets you discover where your audience is so that you can target them. Advertise more effectively and efficiently with Adzoola. With Adzoola, you can uncover highly relevant ad placements, social profiles, link building, and outreach opportunities. Normally, you’d have to pay $69/month for Adzoola, but with AppSumo, you can get lifetime access to Adzoola for just $49. Learn more about Adzoola here! With Adzoola you’ll be able to advertise much more effectively and efficiently. You’ll be able to see what social media accounts and web pages are the top ranking for your keywords to start targeting the right websites for your ads and save money by buying ad-space directly. Get lifetime access to Adzoola for $49 here! ** The deal has been live on AppSumo since 30 August and is ending soon! ** The deal has been live on AppSumo since 28 August and is ending soon! Keep this page bookmarked as we update more AppSumo deals you can grab in the month of September.